The school Ponce de Leon in the town of Tomelloso, in La Mancha, received on Friday 18 January the donation of 23 bicycles by the project Bicis para la Vida by Skoda promoted by the Fundación Alberto Contador. The first delivery of the project on land in Ciudad Real has generated great expectation among students and families of students of this special education center, which prepared an emotional banner of welcome. Rosario Calvo, principal of the school, and Ivan Ramiro, councilman of Sports of the population, were responsible for receiving this donation of material. Ramiro wanted to highlight the importance that these bicycles will have for the plans of the school. “In Ponce de León they do a great job, a priceless job, and they do it with an extraordinary vocation. Surely they will know how to get the most out of bicycles,” he said. 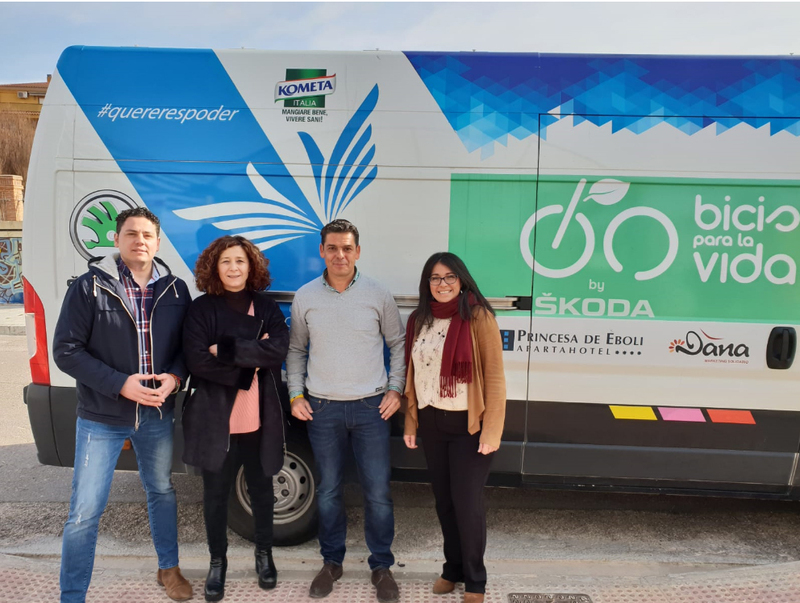 This year the Ponce de León school, in collaboration with its Mothers and Fathers Association, has launched the Ponce sobre Ruedas (Ponce on Wheels) programme to stimulate the use of bicycles among its students, both as a leisure tool and as a means of transport. The AMPA, chaired by Mayte Macías, wanted to thank the Foundation for its gesture with the gift of typical Tomelloso products. “We are very happy for this gift. And much more to come through an athlete like Alberto, who is an idol for many of our children, “said Macías.